Research shows that society should halve its emissions of greenhouse gases every ten years. This is the equivalent of a reduction in emissions of at least 7 per cent per year if the world is to meet the 1.5-degree target resolved upon at the UN Climate Change Conference held in Paris in 2015. In order to prove that this is possible, Fabege has decided to continue to drive development towards sustainable travel to and from Arenastaden. Arenastaden, one of Sweden’s fastest growing districts with more than 20,000 employees, will be the biggest commercial area in the country to break down climate goals for the transport sector to local level, with the aim of demonstrating that this is possible. The ambition is to map travel habits, transport needs and employees’ requests for improvements concerning daily travel to, from and within the area. The strategic process management model CERO, developed by senior lecturer Markus Robèrt at KTH Royal Institute of Technology in Stockholm in his doctoral thesis, is used with the intention of managing the climate adaptation of corporate travel within the area. A digital survey will be sent to the companies’ employees during the February to April period. The results will form the basis of the CERO analysis and the target-oriented action plan that is being developed for the area. 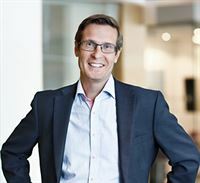 – “It’s hard to find a local area that is more suitable to take the lead in transport development than Arenastaden, where a combination of major trendsetting companies, along with Fabege as the dominant property owner, are making a collective effort to achieve the targets set based on scientifically and empirically proven methodology,” says senior lecturer Markus Robèrt at KTH. Currently CERO has been implemented in around a hundred major companies, municipalities and commercial areas in Sweden, but never in an entire district. Fabege’s project, which aims to help ensure even more sustainable travel for all those working in Arenastaden, is possible thanks to the close collaboration between companies in the area. The area has brought together companies with an ambitious climate agenda that now – along with Fabege, public transport services and the municipality – are getting involved in improving availability in the form of public transport connections, cycle paths, changing rooms, cycle storage, electric vehicle charging facilities, conditions for digital meetings, flexible forms of working and much more. Several initiatives have already been launched in Arenastaden. One example is Urban Services, which will create a local sustainable logistics network in which deliveries, returns handling and recycling is managed in a joint flow to and from Arenastaden. The target is to reduce the number of transport runs in Arenastaden by 70 per cent. Another example is that all of Fabege’s service vehicles have solely consisted of electric vehicles since 2017. We are a property company focusing on city district development and commercial properties. We develop attractive and sustainable districts with modern offices, housing and a broad range of services - together with strategic partners. Both our perspective and approach to ownership are long term and our passion is creating the right conditions for all those living, working and visiting our areas. We have a presence in a limited number of high-growth submarkets in the Stockholm region. Fabege’s shares are listed on Nasdaq Stockholm, in the Large Cap segment. 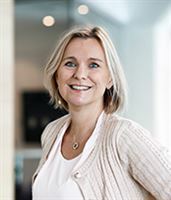 Mia Häggström, Head of Sustainability at Fabege.